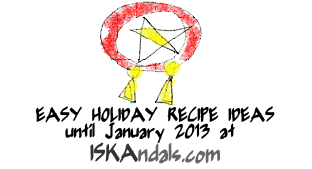 I do have a basic roast chicken recipe – no-fuss, cheap, one that always hit the spot, which I intend to post but then I thought it may not be Christmassy enough. Well it still is, and of course I know many people still like their chicken plain and simple. But then if that’s what you want then best to buy your favorite chicken from your favorite resto. Wala pang hirap. Oh get my drift. So here goes peri-peri chicken. The dish may be prepped mildly spicy, medium or really hot – peri-peri means African bird’s eye chili, which I didn’t use here as our tolerance for spicy isn’t that strong. If you can take it well go for it. A piece of siling labuyo might be your thing. 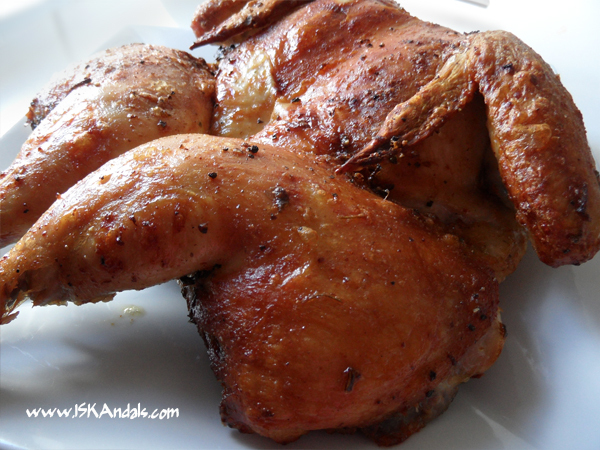 Come to think of it, this Portuguese chicken roast has very similar flavors to chicken inasal. Yum. 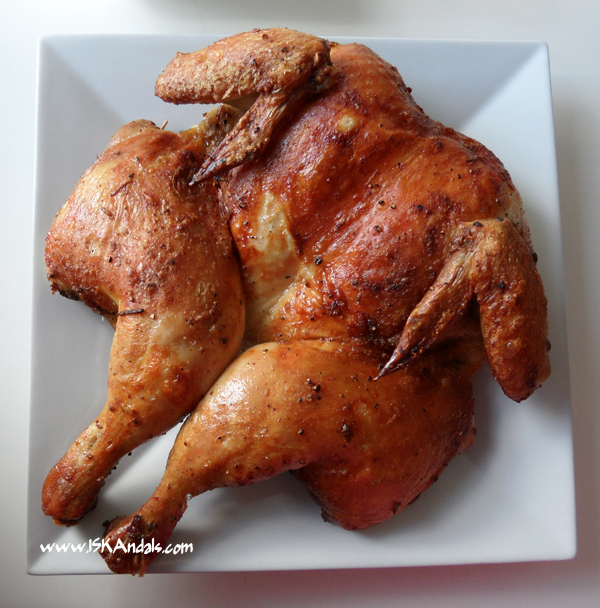 What to serve with peri-peri chicken? 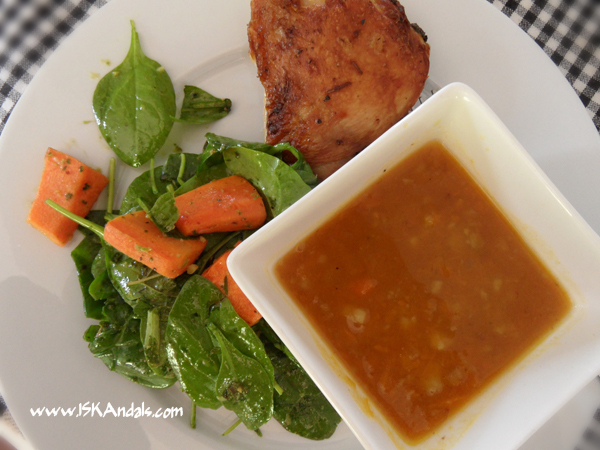 Below is a photo of my plate with roast carrots, fresh young spinach leaves, and a bowl of hearty pumpkin soup cooked by my son. Or… vegetable salad (fresh salad greens, cucumber and tomatoes, perhaps with smoked salmon) with simple dressing (lemon juice, olive oil, salt and pepper), onion rings, potato wedges or sweet corn on a cob. Don’t forget your rice. 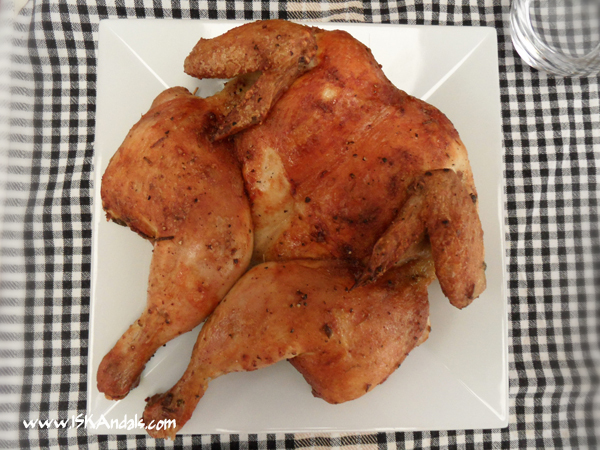 Rub salt and pepper on chicken. Set aside while you prepare the ingredients for the peri-peri sauce. Combine garlic, onion, lemon juice, chili, vinegar, paprika and olive oil in a bowl. Pour over chicken. Chop parsley and shred some mint leaves. 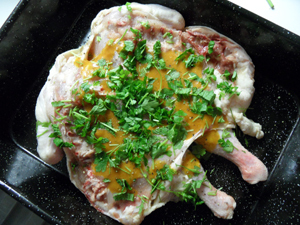 Massage sauce and herbs on chicken and marinade for at least 2 hours. 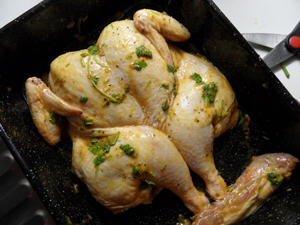 When ready, preheat oven to 190 deg C. Arrange chicken on a grill in a baking pan. Bake for 40 minutes. Change the setting to fan-grill for another half an hour. 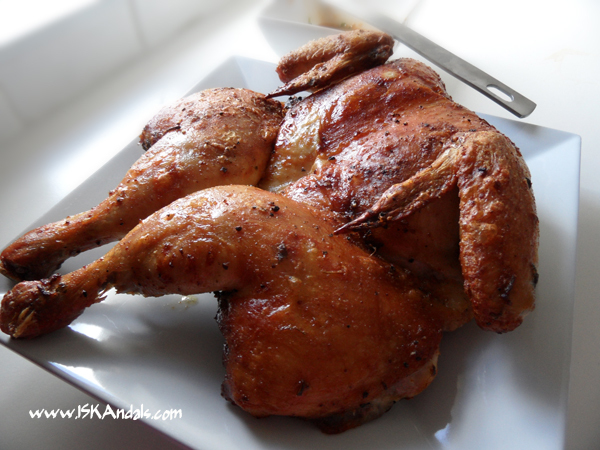 Let chicken rest for at least 5 minutes before serving. And if you’re lazy, instead of making your own peri-peri sauce you can replace it with ready-made sauce. Sometimes I use Nando’s. From the listed ingredients above, omit garlic, onion, lemon, chili, vinegar and paprika. Replace these with your chosen ready-made sauce and combine with olive oil. If you’re lazy, instead of making your own peri-peri sauce you can replace it with ready-made sauce. From the listed ingredients above, omit garlic, onion, lemon, chili, vinegar and paprika. Replace these with your chosen ready-made sauce and combine with olive oil. Marinating time not included in the total cook time indicated above. ohmygoodness…that chicken looks perfect! nakakagutom talaga!